Did your house pose for its beauty shot? Visit the NATIONAL PRESERVATION MONTH DISPLAY hosted by the FREMONT HISTORICAL SOCIETY partnering with the Fremont Public Library in a display for National Preservation Month. Then/Now photos of historic buildings in Fremont with information on their architectural style, builders, past owners, and history. An enlarged copy of the Fremont section of the Seattle Public Library’s 1905 Baist map. 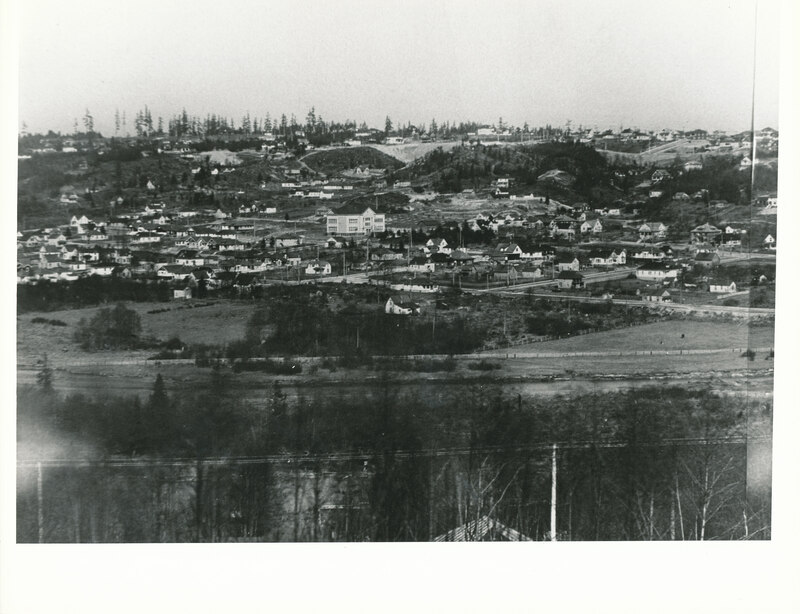 A 7’ long panorama of circa 1910 photos taken from the top of Queen Anne Hill, looking north. The photos span from the site where the Ballard Locks would later be built, through Ballard, Ross, Fremont, Wallingford, Lake Union, and all the way to Capitol Hill and the tower at Volunteer Park. On Saturday, May 7th, from 11:00 am and 1:00 pm, there will be a free reception, open to the public. Light refreshments will be served. Members of the Fremont Historical Society will be on hand to share information and answer questions. In addition, Friends of the Ballard Locks will be available to talk about the construction of the Lake Washington Ship Canal and the Hiram M. Chittenden Locks (or Ballard Locks). Construction of the canal was underway in Fremont over 100 years ago. Opening day ceremonies for the Ship Canal and the Locks took place on July 4, 1917 which means that centennial events and activities are coming in 2017.